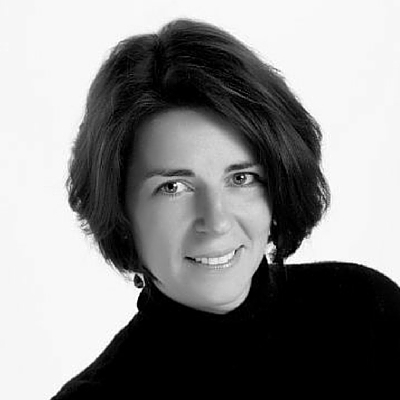 This week, we are pleased to feature Books@Work professor Dr. Megan Muthupandiyan. Megan is an administrator within Beloit College’s Liberal Arts in Practice Center and a faculty member within the College’s Writing Program. Teaching with Books@Work has given me an exceptional opportunity to learn about myself at work. It alters my understanding of what it means to teach literature well, enhancing my appreciation for literature, as well as for the artistry of teaching. It also, not coincidentally, demands a fair amount of humility. The minute I’ve entered a boardroom or meeting room to lead a book discussion, I sense I am an interloper. However welcome I am, the community with whom I am reading possesses deeply entrenched histories, power dynamics and an overarching organizational culture which will continue to exist long after I depart. It’s a far cry from the role I possess upon entering the undergraduate classrooms where I have taught for nearly fifteen years. I’m something of a foreigner as well; the objects at the center of an organization’s intellectual work and the knowledge that its employees employ on a day to day basis, are as strange to me as mine are to them. I experienced this firsthand while working with an engineering team at Fairbanks Morse Engine late last year. I understood that the team was in the final stages of a major project and their deadline loomed. The group had chosen David Giffels’ The Hard Way On Purpose – a memoir about growing up and staying in Akron, Ohio through the demise of Goodyear and Firestone. The memoir charts the departure (and return) of the Cleveland Browns, decades of entropy that claimed its century old buildings and the perennial brain drain of the city as its citizens fled to warmer and less depressed communities. I had chosen the book for what I felt were themes each of us could recognize – of Midwestern childhoods in the ‘70s and ‘80s, the post-industrial punk scene of the ‘90s, the dignity of work and of lives lived in the rust belt. With such a rich mine of shared biographical contexts, I knew we would sail through the seminar. But back to humility. Not one of the gentlemen in the group seemed to sense the shared contexts which I had assumed we had. Only one was born in the rust belt and continued to live there . . . the rest identified as having come from agricultural communities. Of those few who were old enough to have remembered the ‘90s, not a single one of them confessed to loving the punk rock scene. Nonetheless, over the next weeks our conversation not only persisted but accommodated wider and wider apogees . . . into sports teams that should be allowed to die . . . and hunting . . . and the eternal genius of the eight track. During the second session two of the most senior members of the team shared their stories with enthusiasm. During the third session, they and two younger members of the team began asking one another questions (related to the book and one another’s lives) and managing the conversation. Three more introverted team members consistently attended throughout the seminar, engaged but reserved, save when they were laughing. In the final chapter of The Hard Way, Giffels describes taking his son for a ride up Cadillac Hill – a road with a 28% grade incline which Akronites consider a rite of passage to drive. 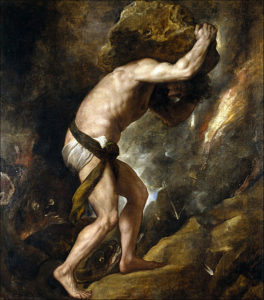 Their assent invokes the Myth of Sisyphus as Albert Camus’ presented it: that it is noble indeed to urge forward in a conscious act of the will . . . not merely to succeed. I noticed how the resonance between Sartre and Giffels also captured the group’s will and efforts as they strained to meet their deadline . . . the willingness and spirit with which they approached the book itself. We closed our session on that note. The seminar did not succeed in delivering what I had initially designed it to. My design had been supplanted by two larger, more strategic outcomes: getting colleagues with different levels of experience and social capital at an organization to offer up stories which lent themselves to a recognition of shared values and providing a space for Story, within which we did, in the end, see our own work reflected. Megan is an administrator within Beloit College’s Liberal Arts in Practice Center and a faculty member within the College’s Writing Program.